Magnetite Iron Ore with Fe minimum 60% and above.And we are supplying this with good quality and quantity. 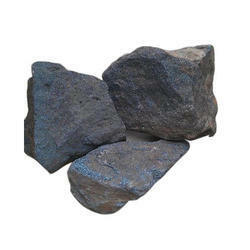 We are involved in offering a large variety of superb quality Magnetite Iron Ore to our clients. Magnetite is a mineral, one of the two common naturally occurring iron oxides (chemical formula Fe3O4) and a member of the spinel group. Magnetite is the most magnetic of all the naturally occurring minerals on Earth. Our organization deal in best quality of Magnetite Iron Ore and we offer them to our clients. These are tested on various parameters so as to ensure their adherence with international standards and norms. Iron Ore We are an iron ore mining, processing and exporting company over many years. According to the Federation of Indian Mineral Industries, we are one of the private company in India to receive a license for export of high grade Iron Ore (having a Fe content of 64% or more). Iron ores are rocks and minerals from which metallic iron can be economically extracted. The ores are usually rich in iron oxidesand vary in color from dark grey, bright yellow, deep purple, to rusty red. The iron itself is usually found in the form of magnetite(Fe3O4), hematite (Fe2O3), goethite (FeO(OH)), limonite (FeO(OH).n(H2O)) or siderite (FeCO3). Iron ore is a mineral substance which, when heated in the presence of a reductant, will yield metallic iron (Fe). It almost always consists of iron oxides, the primary forms of which are magnetite (Fe3O4) and hematite (Fe2O3). Iron ore is the source of primary iron for the world's iron and steel. We offer to our customers Magnetite Iron Ore. These are tested on various parameters so as to ensure their adherence with international standards and norms. 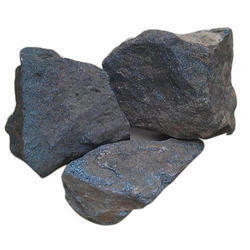 We offer Magnetite Iron Ore at most affordable prices. We are engaged in offering a quality approved range of Magnetite Iron Ore.
As a quality focused firm, we are engaged in offering a high quality range of Magnetite Iron Ore. According to chemical compostion and grade in metric ton.